Burger King is now serving the Impossible Burger, the flagship plant-based patty from buzzy food startup Impossible Foods. The Impossible Whopper is currently in the testing phase—you’ll find it at 59 locations in and around St. Louis, Missouri, per a press release from the company—but its inclusion on the BK menu marks its first appearance at a coast-to-coast fast food restaurant. This is fairly big news, because not too long ago the Impossible Foods/Beyond Meats of the world seemed like a niche product. That the fourth largest restaurant chain in America is serving this is a sure sign of it entering mainstream status (sort of like when Subway started offering Sriracha). Burger King isn’t the first chain to get in the Impossible business. In September, White Castle started serving the Impossible Burger in slider form, a move that ensured that Kal Penn (an Impossible Burger investor) could actually eat White Castle. That chain, however, can be found in only 13 states. 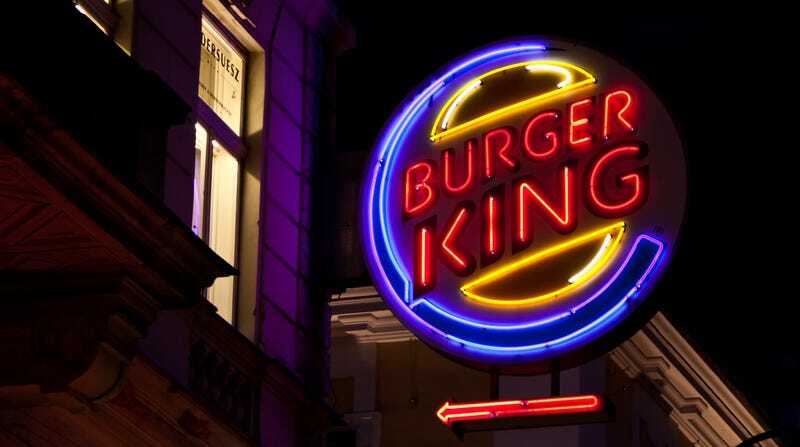 Should Burger King’s tests yield positive results, the Impossible Burger, in the guise of the Impossible Whopper, will greatly extend its reach. So yes, just a test. But Burger King seems very excited about the possibility, given that they cashed in that all-important April Fools brand moment to promote the Impossible Whopper. The existence of said sandwich isn’t the clever clever prank. Instead, the folks at BK gave a bunch of unsuspecting customers the Impossible Whopper instead of the Whopper (the Possible Whopper?) and captured the results on video. You can watch it below.